A partnership between WYDOT, Campbell County Commission, Contura Coal West, Western Fuels Wyoming Inc. and WYODAK Resource Development Corporation LLC, has resulted in the construction of a new route to accommodate heavy truck traffic in Gillette. This new roadway will provide a second north-south access to north WYO 59. This new access will shorten the existing route through Gillette via U.S. 14-16 by 4.5 mi. North Garner Lake Road will be a two-lane road and begin near the Dry Fork Station power plant and extends roughly 3 mi. east to Garner Lake Road and include a new overpass and double-track railroad bridge. This is a two-phase project scheduled for 2018 and 2019. Slated to be part of phase one, the railroad bridge is behind schedule and will be completed during the winter season. A temporary tie-in to Garner Lake Road will be constructed using the existing overpass. The second phase, scheduled for 2019, includes a realignment — connecting the two roads — and mill, widen and overlay of the existing Garner Lake Road. The cost of this new construction project was estimated at $34.2 million. 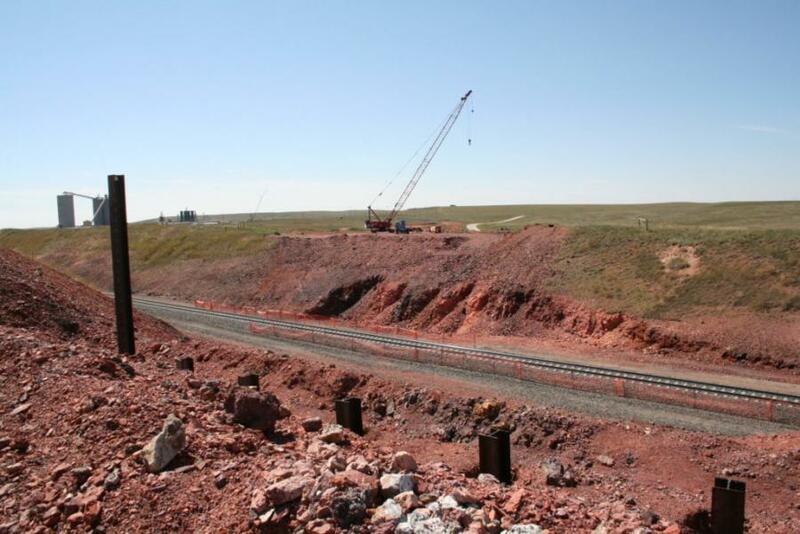 WYDOT's portion of the funding of $24.2 million came from the state of Wyoming Mineral Impacted Road account established by the Wyoming Legislature in 2016. This fund is earmarked for relocation, construction or improvement of roads and bridges directly impacted by development of coal resources. Campbell County Commission, Contura Coal West, Western Fuels Wyoming Inc. and WYODAK Resource Development Corporation LLC added another $10 million.